Fall has officially arrived, and cooler air will soon breeze through South Alabama. As the nighttime temperatures begin to dip, you might get the itch to camp by a brilliant fire beneath a starry sky. While people often associate fall camping with mountains and woods full of golden leaves, the subtropical climate in South Alabama has its own allure. During the days you can float the deltas and streams, or go hiking, biking, and horseback riding through lush wetlands. From a campsite on the shore of a lake, you can watch a sublime sunset spread over the water. Or, you can pitch your tent atop a high bluff and enjoy a bird’s-eye view of a brilliant quarry lake. In the past we’ve highlighted some of South Alabama’s Best Tent Camping, and here’s a follow-up with a few more of our favorite spots. Looking for a nice, quiet weekend getaway without the tourist trappings of the Alabama Gulf Coast? 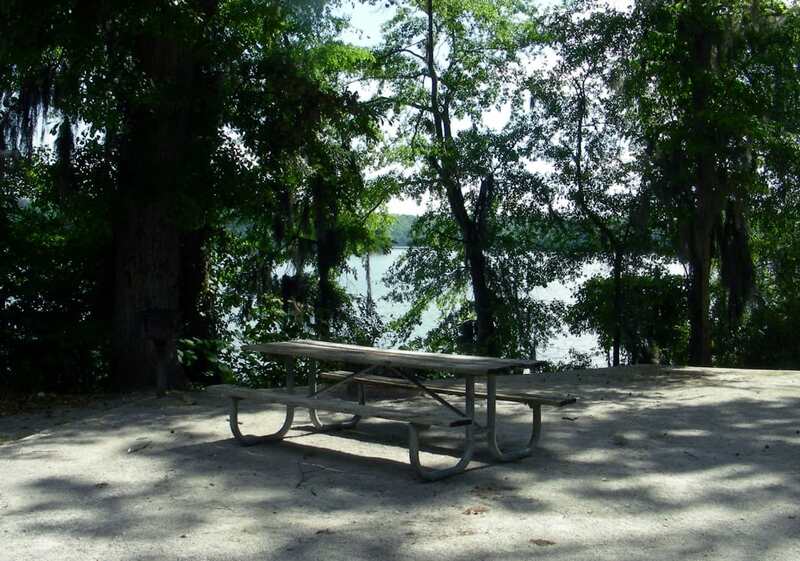 Then try camping at Blakeley Historic State Park in Spanish Fort. 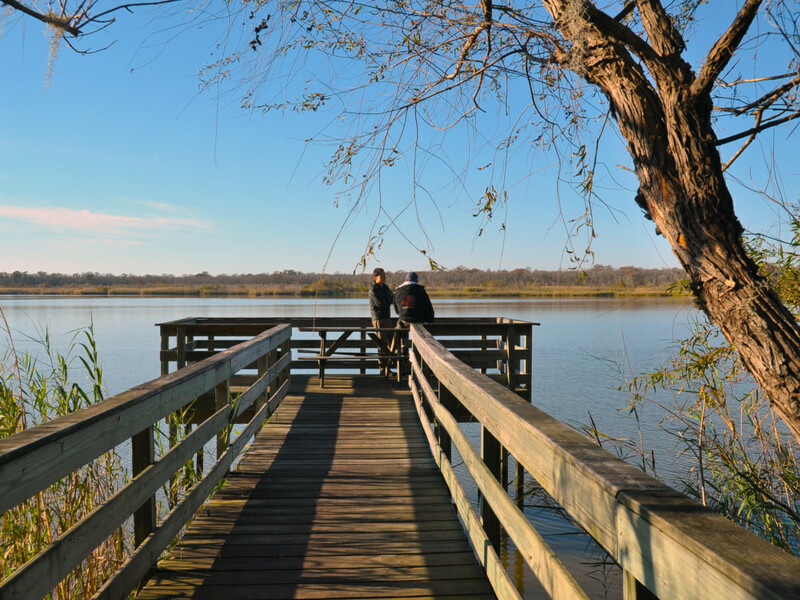 The park is managed by the Alabama Historic Commission and sits on the banks of the Mobile-Tensaw Delta, the second largest river delta in the country. For tent campers, the park has two campgrounds, including a 28-site primitive area, Harper Campground, which was recently renovated. The sites are large and well-spaced giving you plenty of privacy and room to spread out. Each site has a picnic table and fire ring, and near the campground entrance you’ll find a nice, newly remodeled bath house with hot showers. If you don’t feel like roughing it, head to the new Bartram Campground, which has eight sites that are tucked into the woods and include picnic tables, fire rings, power, and water. 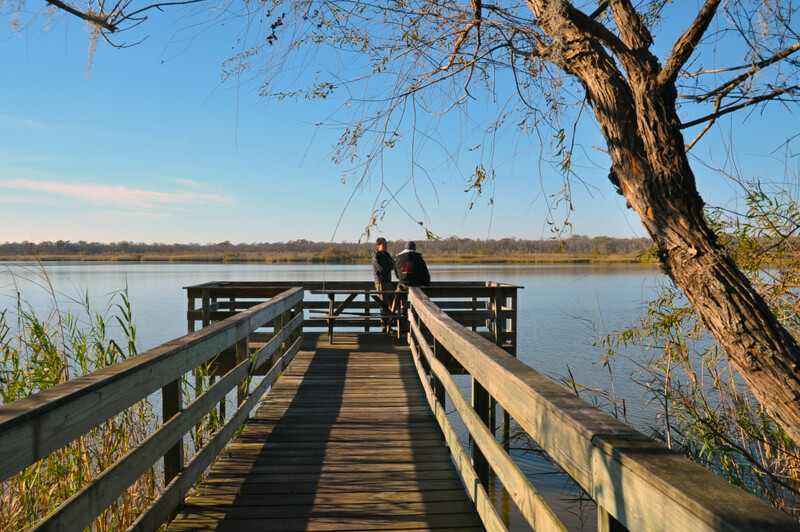 During your stay at Blakeley, you won’t be bored, as there are almost 15 miles of trails that you can hike or bike to enjoy beautiful wetlands, views of the delta, and a Civil War battlefield. The pontoon boatDelta Explorer sets sail from here regularly to take passengers on a tour of the wide delta. 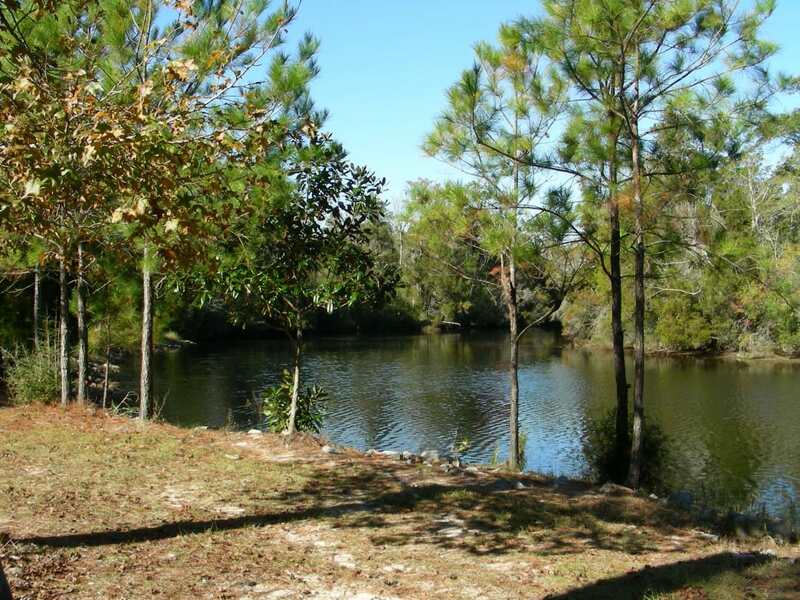 If you want to start taking your kids camping, go just north of Mobile to Chickasabogue Park in Eight Mile. The park has enough amenities to keep all of your young ones happy and entertained. For those who like to hike or bike, there are more than 17 miles of trails. Plus, they can play disc golf, swim in Chickasaw Creek, go road biking, and go canoeing on the Ron Jones Paddle Trail. The campground itself has 47 spacious sites that offer some privacy and include tables, fire rings, barbecue grills, water, and power. All sites are available on a first-come, first-serve basis, and the park can get pretty crowded, so you should call ahead to see if spots are available. If you’ve never been to a U.S. Army Corps of Engineers campground, you’re in for a real treat, especially at Isaac Creek. Some people have called the campground rustic, but it’s far from that, with two clean bathhouses with hot showers, a laundry, three playgrounds for the kids, a basketball court, places to fish, and 60 improved campsites. The campsites are spaced nicely, and each site is broad and includes a picnic table, lantern pole, fire ring, water, and electricity. The tent pads are packed gravel, and each site has a cement drive for parking. Because this campground can be very crowded, you should make your reservations well in advance. When you visit the reservation website, be sure to check and see if sites 15-41 are available. Sites 15-31 are located right on the banks of Isaac Creek, while 32-41 are on the banks of Claiborne Lake. Either way, these are the premier sites at Isaac Creek, offering splendid water views and relaxing sunsets at the water’s edge. If you’re looking for a brief escape, spend a day or two in this beautiful, and active, archaeological park. St. Stephens Historical Park is perched high atop a bluff overlooking a big bend in the Tombigbee River that snakes its way to Mobile and the Gulf. In 1789, the Spanish governor of Mobile had the brilliant idea to create a settlement at this bend in the river. He knew that ships couldn’t go any farther north because of the shoals that followed the bend. The settlement, known as St. Stephens, was born and eventually became the first territorial capital of Alabama. Today, you’ll find archaeologists sifting through the dirt as they uncover the city’s past, while outdoor lovers find tranquility as they go horseback riding, hike the park’s trails, swim in the placid waters of the limestone quarry, or camp beneath the stars. St. Stephens has two campgrounds, each with fire rings, water, and power. 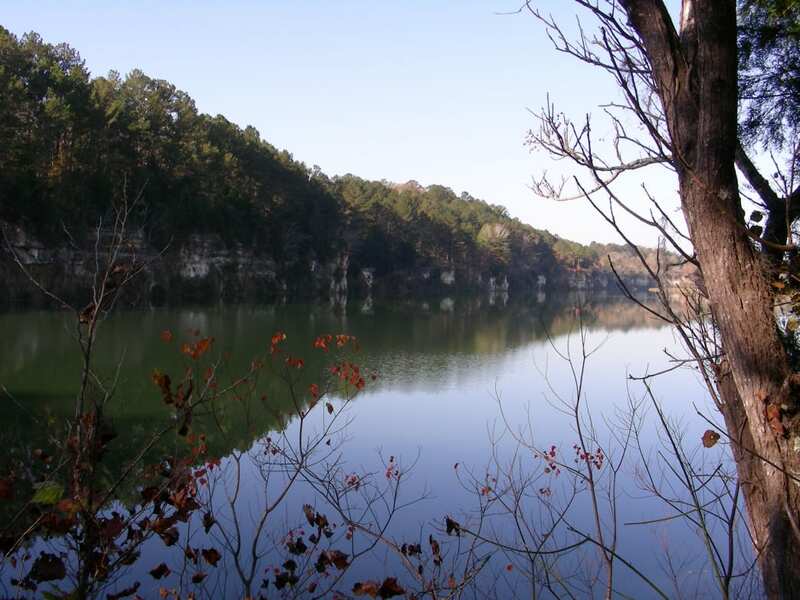 The Lakeview Campground also has barbecue grills and several of the sites are on the edge of a tall limestone bluff with nice views of the quarry lake and its blue waters below. Sites are available on a first-come, first-serve basis or by pre-registration.